Home » Community » To Commencement and Beyond! The month of May is fast approaching and with it comes much change ushered in with pomp and circumstance. Four years have somehow flown by, and in some cases five years for you super-seniors. In many ways you are ready and even itching to step beyond the borders of the university, to spread your wings and dive off the high cliffs of higher learning into the valley of Life’s experience. In other ways, whether you realize it or not, there may be a grief you are feeling as you have no choice but to march forward and down the path that will eventually lead you across a stage in front of family, friends, and faculty, to accept your diploma only to have your steps leading away from the podium and into…? So what is next? Graduate school? Finding employment in your field? Finding employment not in your field but having the need to take a longer path to your vocation and calling? Will you go back home? Will you move the farthest away from home you can, or somewhere in between? Decisions. Decisions. Should you take that job across the country, or the world? Should you move home and work for the family business? Should you venture out and take grasp of that entrepreneurial spirit and idea you have been waiting to try? 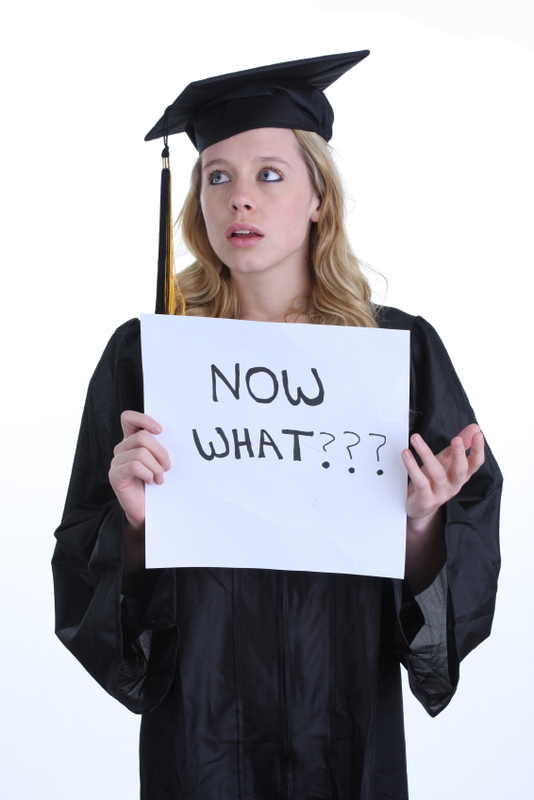 Is continuing on to graduate school and then perhaps your doctorate the right path for you? The answer to all of these questions and so many more: Yes. Take a step, and then take another. Myself, having been right where you are twenty years ago, I can tell you it is no easy task to step out your door, but step you must. Even our missteps are somehow, for our good, woven into the tapestry of our unfolding story. Don’t over-think it. We cannot see five steps ahead, but only one. We can certainly try to plan for five steps ahead, and this is a good thing, but again, at the end of the day, we have only the next step ahead of us in our sights – so step out and take it. In these last days and weeks before your commencement let me also encourage you to be aware of what you are leaving behind. You will never have this time to live again. You will never be with these peers and professors in the same way again. This chapter is closing. Sip slowly those last cups of terrible cafeteria coffee while you drink in these final conversations with friends that have become your family over the past four years. Don’t be so quick to walk across campus, but consider strolling and taking in the changes that come with this spring of your final year. Be a little kinder to the suitemate who used up the last of your toothpaste…again. You won’t be able to yell at them for much longer and you might find yourself missing these inconveniences. It is time to say farewell and open your arms to a bigger world yet. In the words of Bilbo Baggins, from Tolkien’s The Fellowship of the Ring: “It’s a dangerous business, Frodo, going out your door. You step onto the road, and if you don’t keep your feet, there’s no knowing where you might be swept off to.” Open your door. Step onto the road. Live. Thaddeus Heffner is a marriage and family therapist in the greater Nashville, Tennessee area. He is a member in good standing with the American Association of Marriage and Family Therapists and the Nashville Area Association of Christian Counselors. Visit Thaddeus Heffner at thaddeusheffner.com. By thaddeusheffner in Community, Decisions, Graduation, Life, Living, safe place, Thaddeus Heffner, Uncategorized on March 24, 2013 .